VSI6X1263 Vertical Shaft Impact Crusher(sand making machine) is an efficient sand crushing equipment with independent intellectual property rights and more national patents which is based on the VSI series sand making machine. It can help Great Sunaba gradually scale, centralized production to meet the country's environmental protection and capacity requirements. Compared with VSI series sand making machine, VSI6X1263 Vertical Shaft Impact Crusher can produce high-quality sand and gravel aggregate, meet the highway, railway, hydropower stations, airports and other projects requirements. <<Previous：Liming Heavy Industry attracted much attention in the 119th Canton Fair. 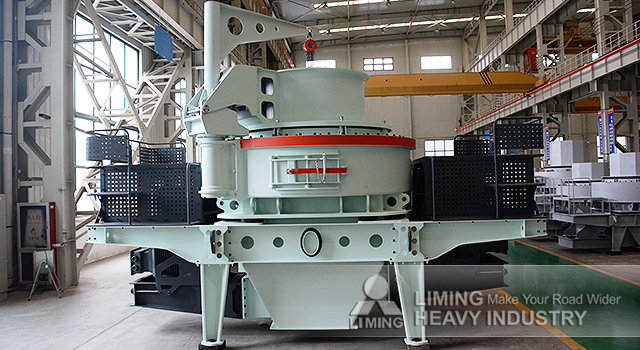 <<Next：The new S5X Series Vibrating Screen will play an important role in crushing and screening industry.